She opens it, looks in the mirror and says, "Hmmm, this person looks familiar." 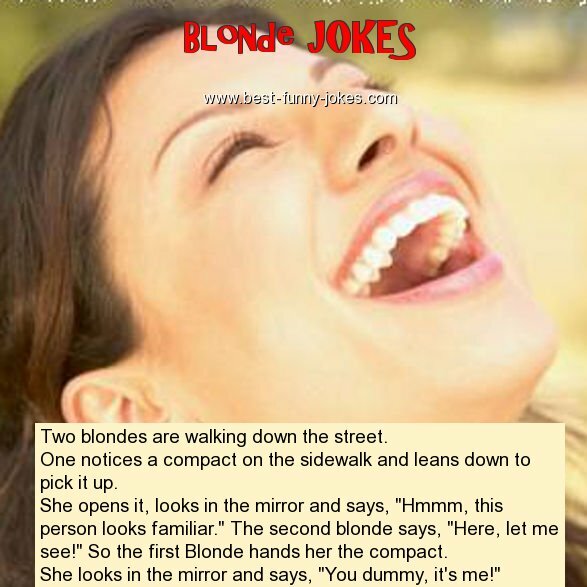 The second blonde says, "Here, let me see!" So the first Blonde hands her the compact. She looks in the mirror and says, "You dummy, it's me!"